Kathy's Tales hand paints illustrations on home linen (bed, bath, and covers) be it your favourite seasonal flower or cartoon character. Merch from official distributors of your favourite animated movies might cost you and arm and leg, but we've found Kathy's Tales, a brand that can hand paint your favourite characters on your sheets and pillow covers for you. Reminiscent of illustrative styles of book and accessories from your childhood - uncomplicated and sparking joy - the bed and dining linen make for great presents for children and adults alike. Characters from the Looney Tunes, Disney Princesses (we spotted Elsa and Ariel in their respective elements) and festive holiday themes are some of the designs that are readily available. Painted on pure cotton, linen, jute, and silk, what they make function well for daily use. Though not one of their biggest sellers, they also make hand towels, wall hangings, and fabric covers for furniture and shelves. Most of these, are festive and The jute and silk products, however cannot be machine washed (if you'd like the paintings to stay intact that is). Come spring, you can pick up a cushion cover (INR 350 for a pair) in pastel with pretty flowers in contrasting colours. 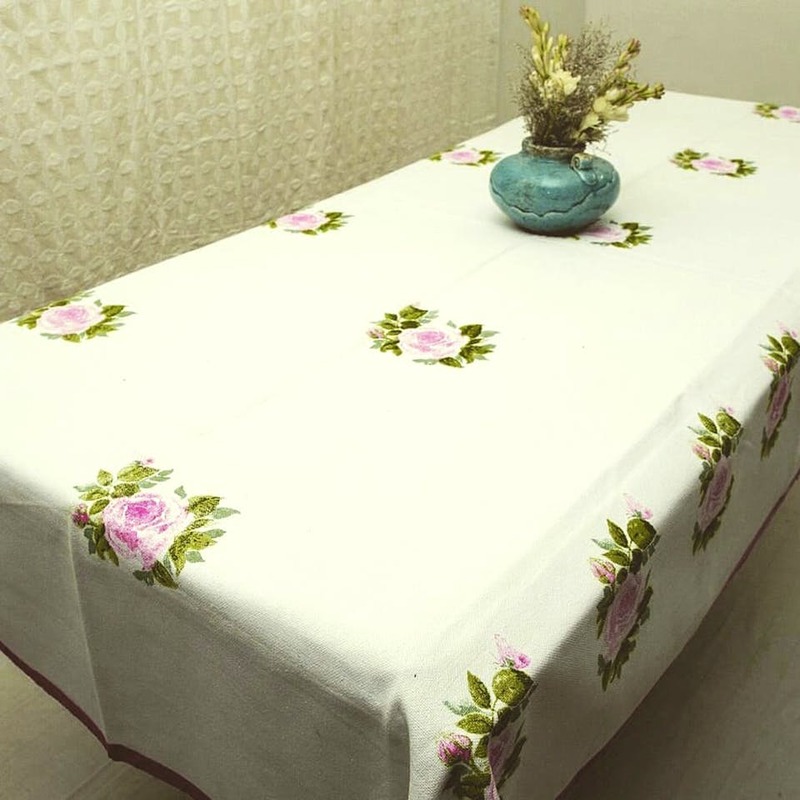 Perhaps you can host an intimate tea with their pristine table covers (INR 750) sprinkled with floral motifs? If your little one is hosting a Disney themed party, then why not assign a character pillow to each, or send the covers home as party favours? It’s personalised and sweet!